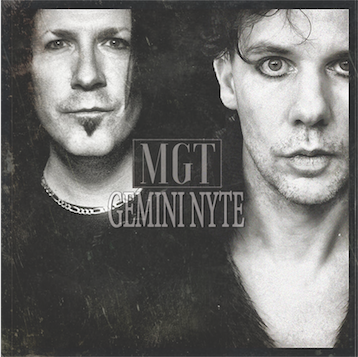 Former The Mission/Peter Murphy guitarist Mark Gemini Thwaite has followed on the success of project MGT‘s collaboration with HIM frontman Ville Valo on last year’s cover of ABBA‘s Knowing Me Knowing You by teaming up with The Awakening‘s vocalist Ashton Nyte! The duo have signed to the legendary American gothic label Cleopatra Records to release new album Gemini Nyte on February 23, 2018! The album also features KILLING JOKE‘s Paul Ferguson on drums and appearances from Fear Factory‘s Burton C Bell and founding The Cure members Lol Tolhurst and Pearl Thompson!